To make sure we can offer the most contemporary damp proofing solutions to our discerning professional customers, Twistfix constantly expand our product range - all of these new products can be quickly and easily accessed in our ‘New Products’ section. 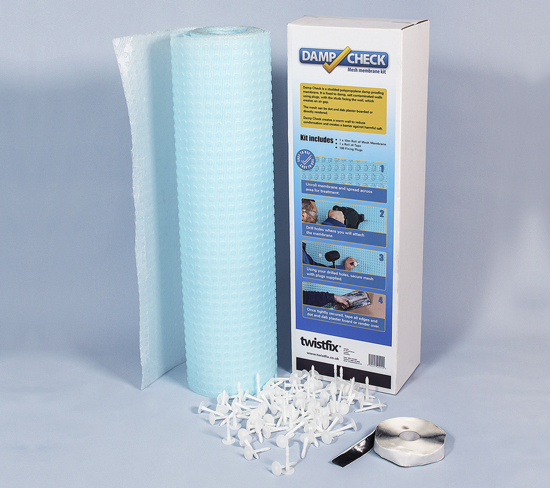 Already massively popular, the new Twistfix Damp Check Mesh Membrane Kit currently features an introductory 10% price discount. 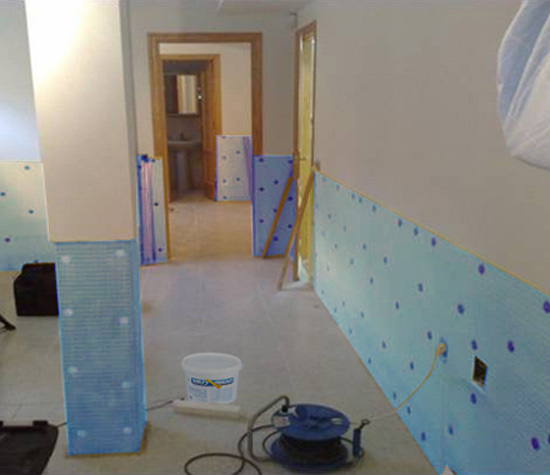 This kit is truly compre­hen­sive, containing a complete selection of materials to enable the creation of an effective, durable barrier against moisture when isolating damp walls from their surrounding internal finishes. 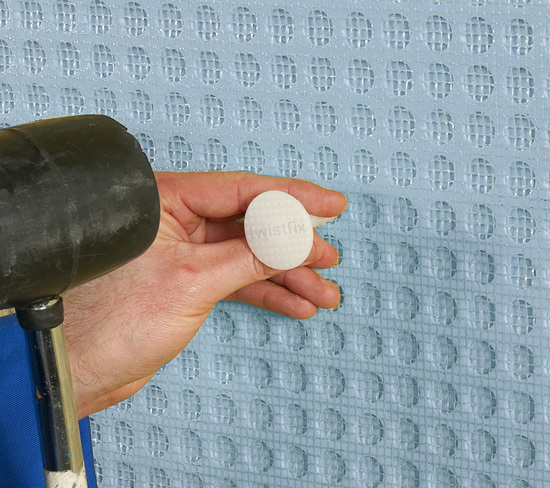 Often used after the installation of a remedial damp proof course, the mesh membrane kit can also be used to block damp penetration or to waterproof showers or wet rooms. Incorporating innovative ‘stand-off’ studs and a quality mesh face to accept dot-and-dab dry-lining, cement render or tile adhesive, this waterproofing membrane system is the choice of profes­si­onals. The air-gap membrane is designed to be user-friendly: it bends around corners easily and can be quickly and accurately cut using scissors or a knife. Once installed, the air-gap between each stud will allow the walls to naturally ‘breathe’ while the mesh face will allow water to drain harmlessly away behind. Installation is carried out by drilling anchor holes before securing the membrane tightly to the wall with the use of hammer-in plugs. The joints are then sealed with strong butyl rubber tape before tile, plaster or dot-and-dab plasterboard sheets are applied directly on to the mesh. As well as a 10m roll of Twistfix tanking membrane featuring air-gap studs, the kit also contains a similar length of butyl waterproofing tape and 100 hammer-in fixing plugs, making it one of the most comprehensive such kits available. Our 10% introductory discount is available for a limited time only so please order now to avoid disap­po­in­tment. Need more information about the Twistfix Damp Check Mesh Membrane Kit or any other of our professional-quality damp proofing, water­pro­ofing, basement tanking, structural repair and renovation products? Call us now on 0845 123 6006 or email sales@twistfix.co.uk.